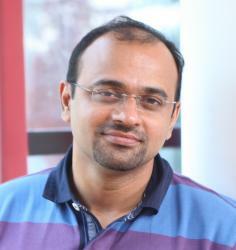 Ajith Mohan Karimpana, Founder and CEO of Furlenco, India's first online home furniture rental company is an entrepreneur who wishes to turn this novel concept into a successful global category.He shoulders the responsibility ofthe organization’s strategic growth and business development. An engineering graduate from the National Institute of Technology Jalandhar, Ajith has also done his masters in Computer and Information Science from Temple University, Philadelphia, besides a fellowship program on entrepreneurship from Startup Leadership Program. Prior to founding Furlenco, Ajith donned numerous hats; as Software Engineer with Infosys Technologies, Senior Consultant with Morgan Stanley, Senior Analyst with Goldman Sachs and went on to become the Vice President in the same organization. Having developed an expertise in Business Strategy, Analytics and Team management during his professional stint of 11 years, Ajith came up with his own enterprise, Rent Ur Duniya in 2011, witnessing tremendous opportunity in the home rental furniture market. It was later re-branded as Furlenco in 2012. 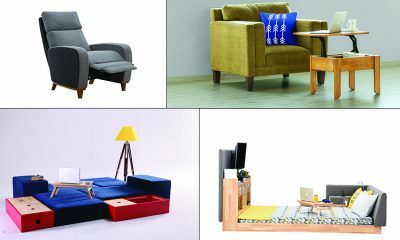 He wishes to make a social impact by using only plantation wood for its furniture and creating an eco-friendly brand through Furlenco. With a strong team of about 150 members in just 4 years of inception, Ajith envisions elevating the living standards of urban Indian consumers who seek affordable and convenient solutions for a good-looking home. Being an entrepreneur doesn’t stop him from indulging his passionfor reading, besides watching TV and spending quality time with his family. With ‘life goals’ changing, is renting furniture online the smart way of life?